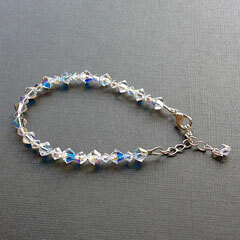 Swarovski crystals add a lot of sparkle in this stylish, elegant bracelet. Sterling silver trigger clasp and extender, fits wrists sized 6-7.5 inches. Total bracelet length is 9 inches. 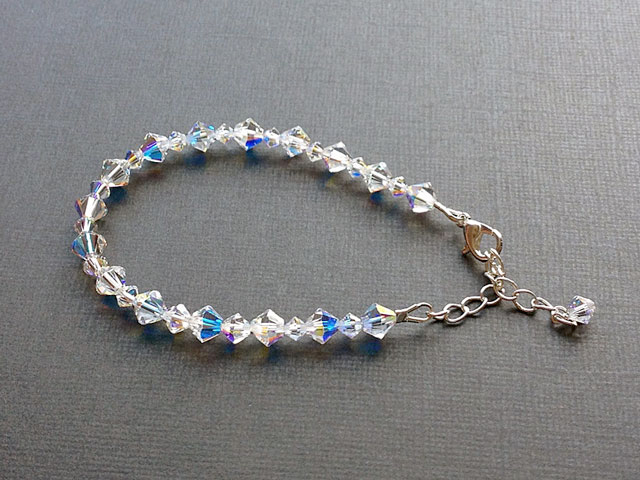 Option: this bracelet is available bespoke in over 150 Swarovski colours and with your choice of clasp and metal, please contact sales@kyrenedesigns.com.